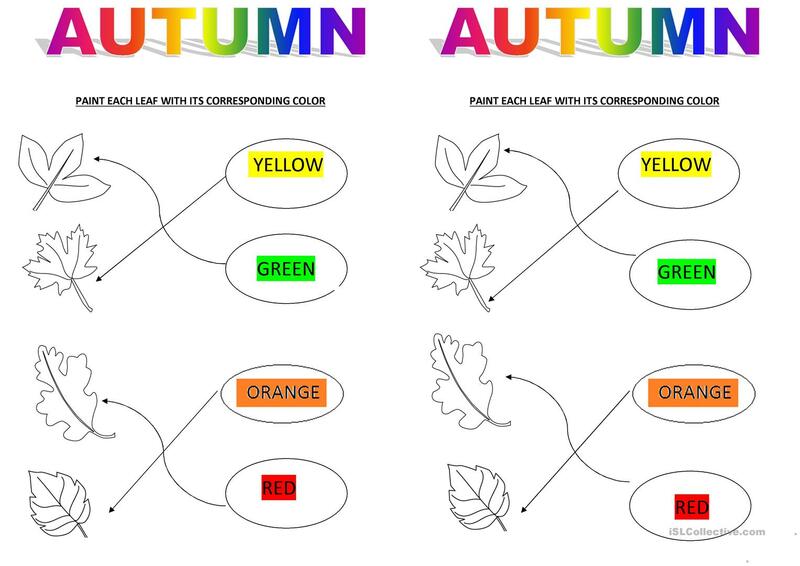 Students will have to color each leaf with its corresponding color. This is a very simple activity for a Kindergarten level but it really works for reviewing colours and some vocabulary. This downloadable handout is intended for kindergartners and nursery school students at Beginner (pre-A1) level. It is useful for developing your groups' Reading skills. It focuses on the vocabulary topic of Autumn. severus12 is from/lives in Uruguay and has been a member of iSLCollective since 2013-03-27 20:04:46. severus12 last logged in on 2019-04-11 06:46:44, and has shared 2 resources on iSLCollective so far.